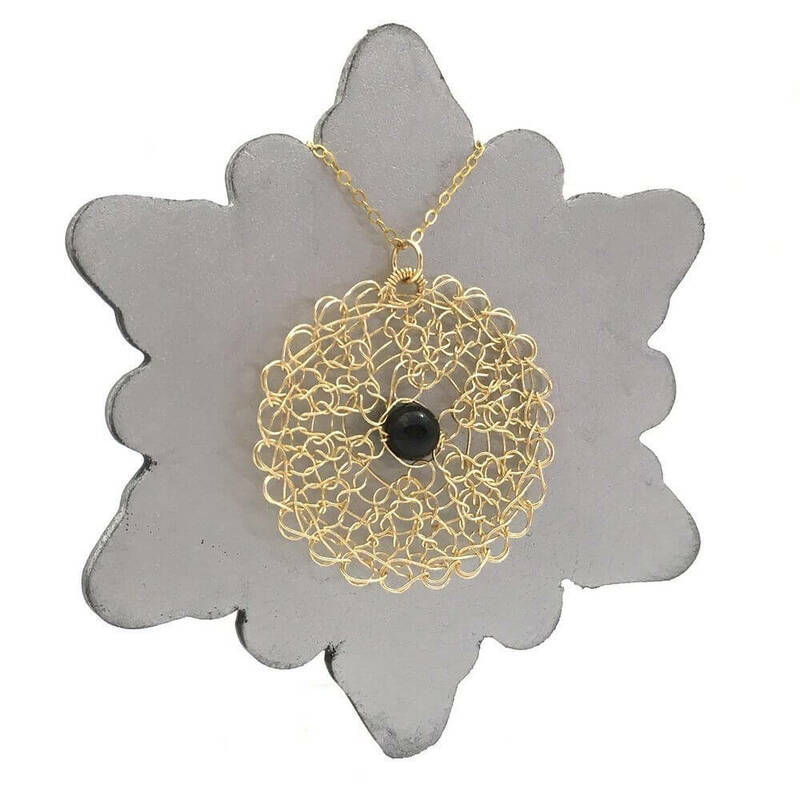 An enigmatic smooth black onyx stone is the focal point of this striking necklace. 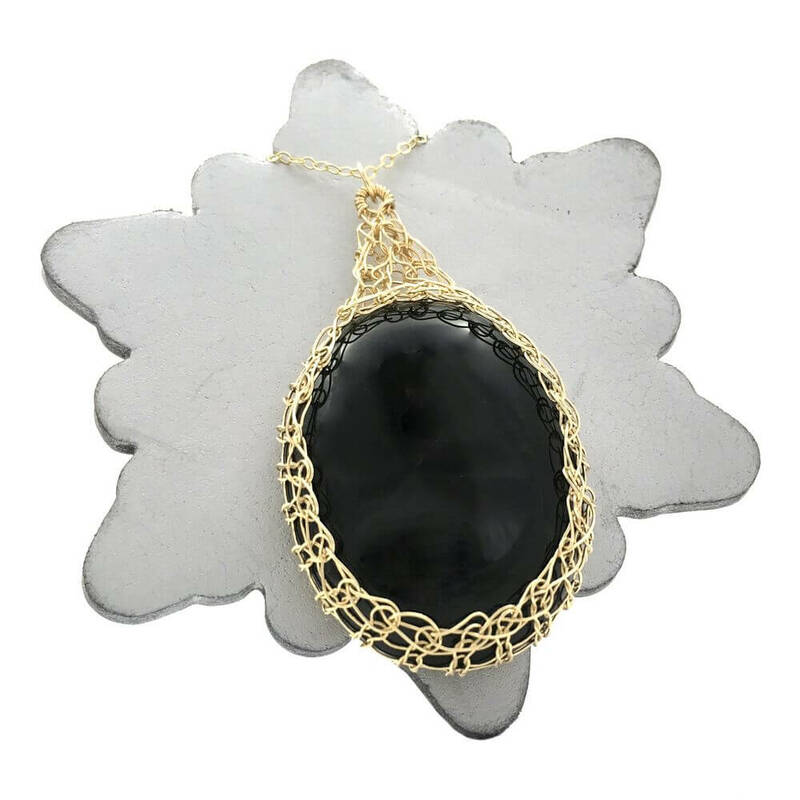 An enigmatic smooth black onyx stone is the focal point of this striking necklace. 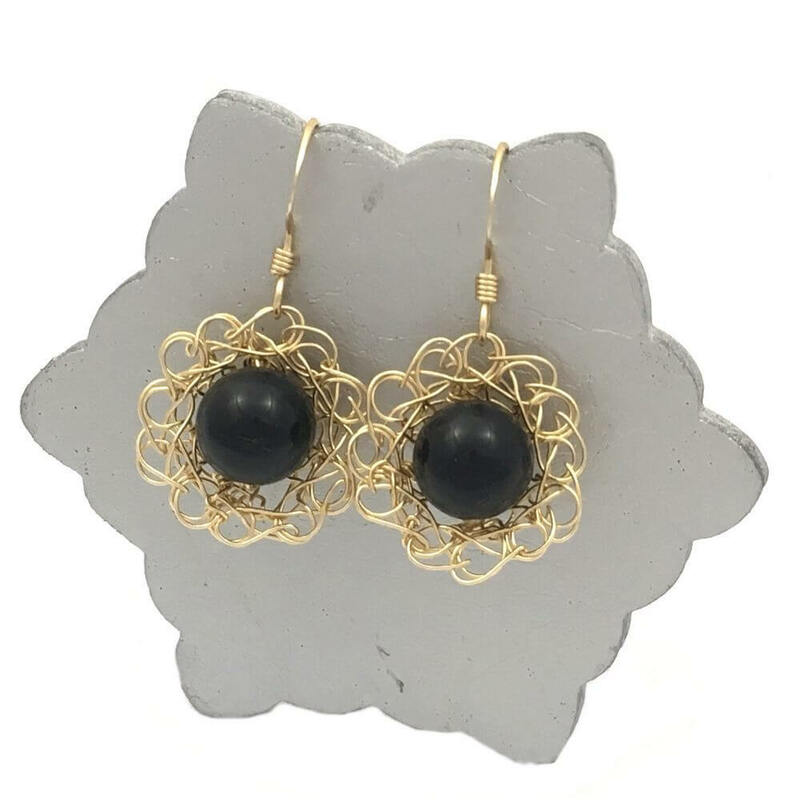 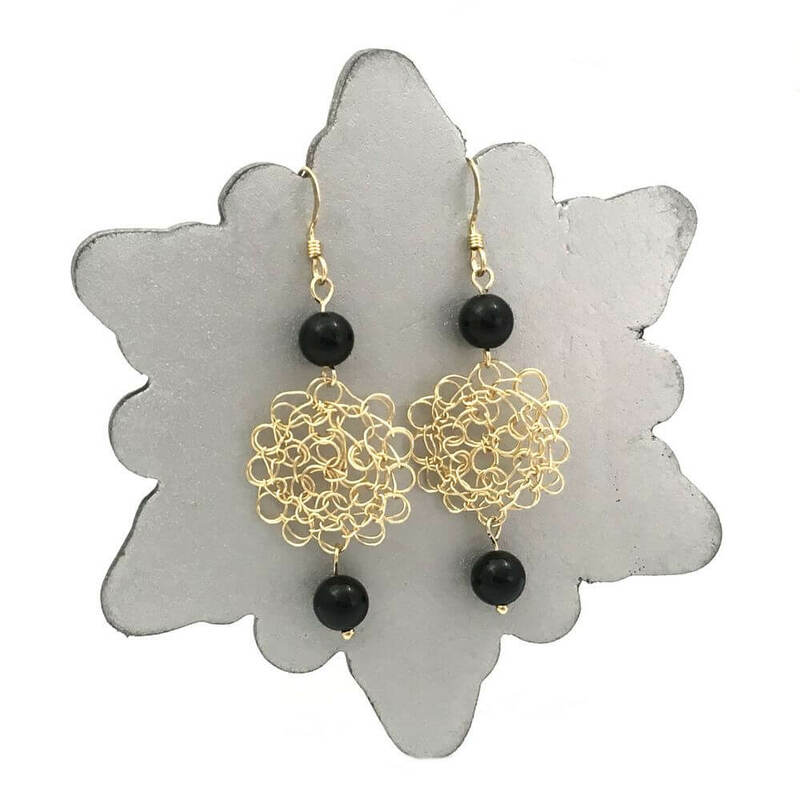 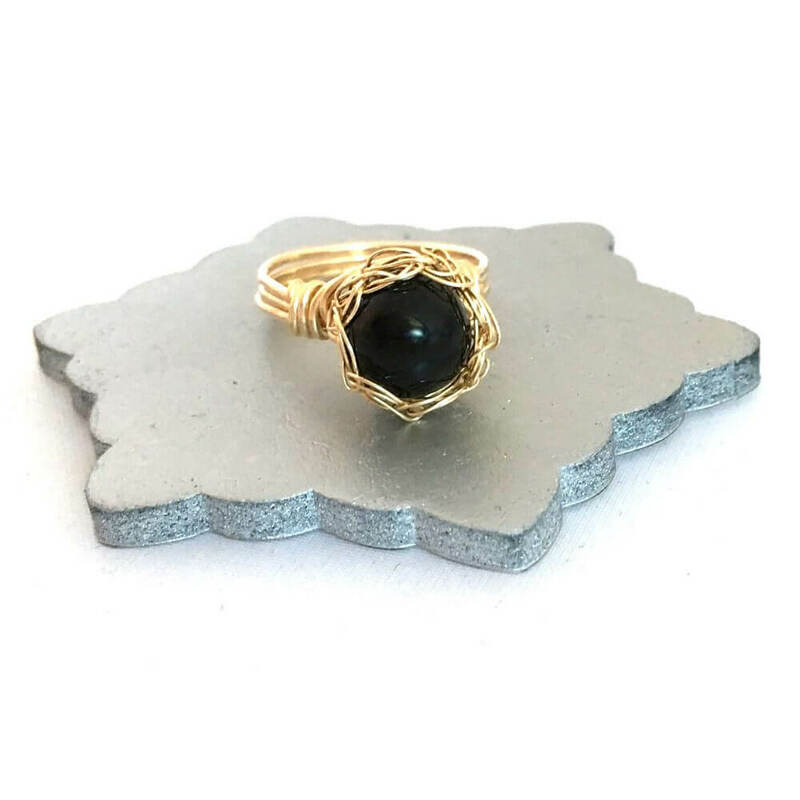 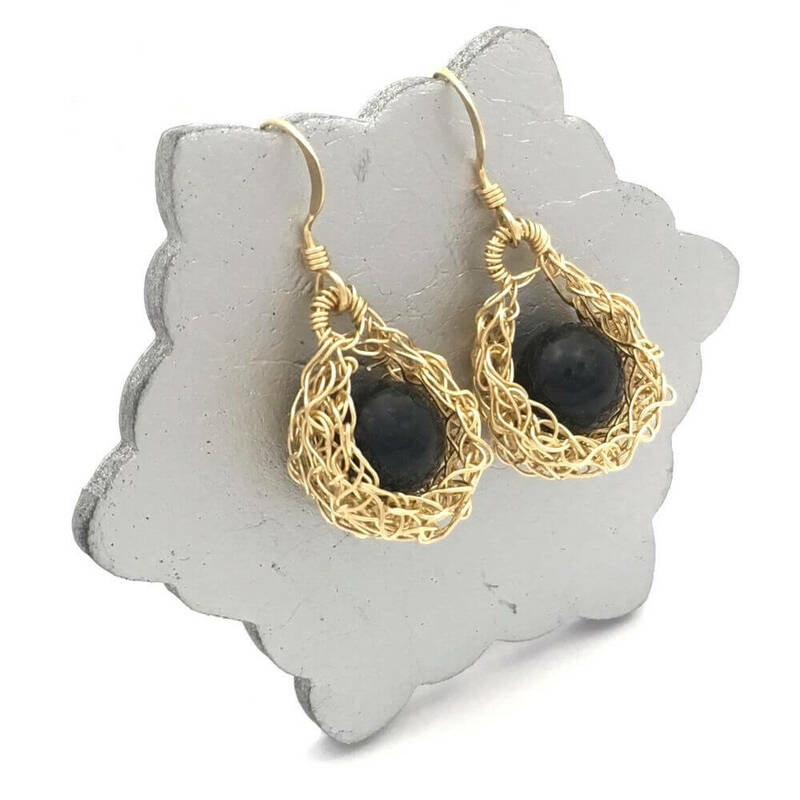 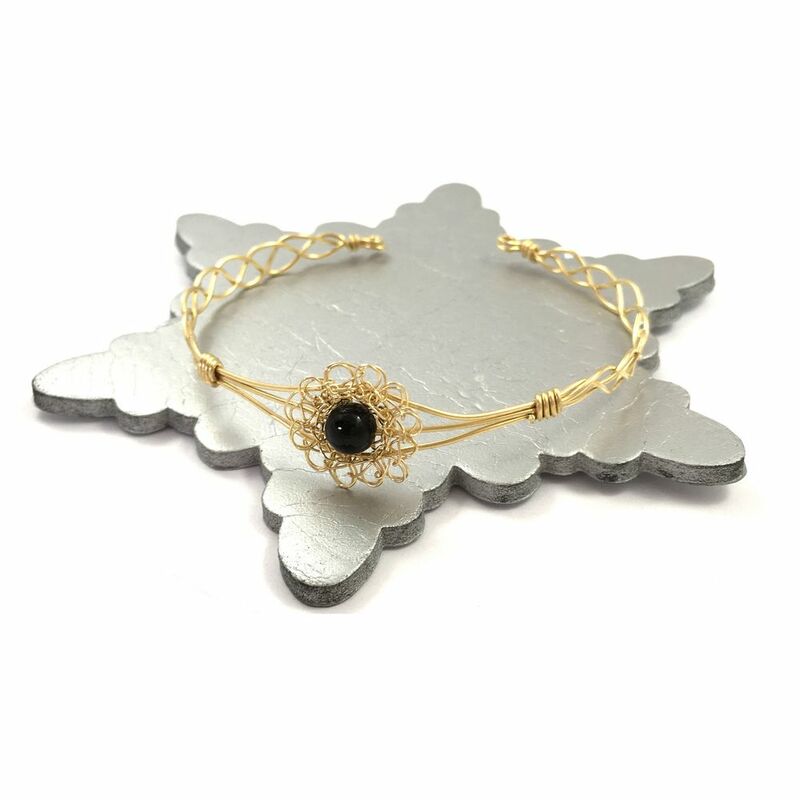 Enhanced with finely crocheted 14 carat gold-filled wire, the complementary nature of the black and gold bring a feel of luxurious style. 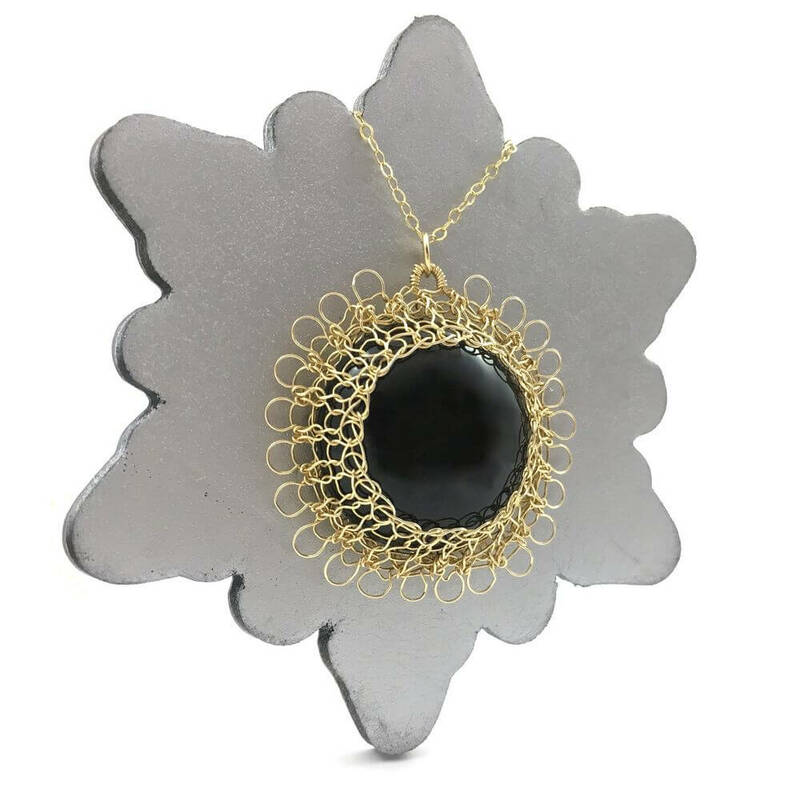 Placed on a 14 carat gold-filled chain measuring 24 inches / 61cm and presented in a hand embellished gift box the Gold Onyx Oval Necklace is a unique addition to any woman’s jewellery collection.